Here are things around the internet that might interests those who are into Presuppositional apologetics that’s rounded up from the end of this month. 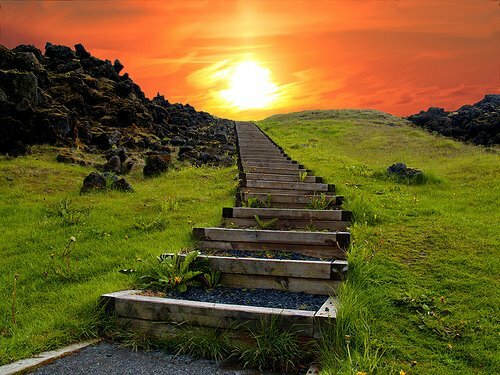 We have just completed our marathon series on our blog on Dispensational Presuppositionalists and you can see that this stream of Presuppositionalists are included here. 1.) Fallacies Everywhere: What Should a Christian Do? 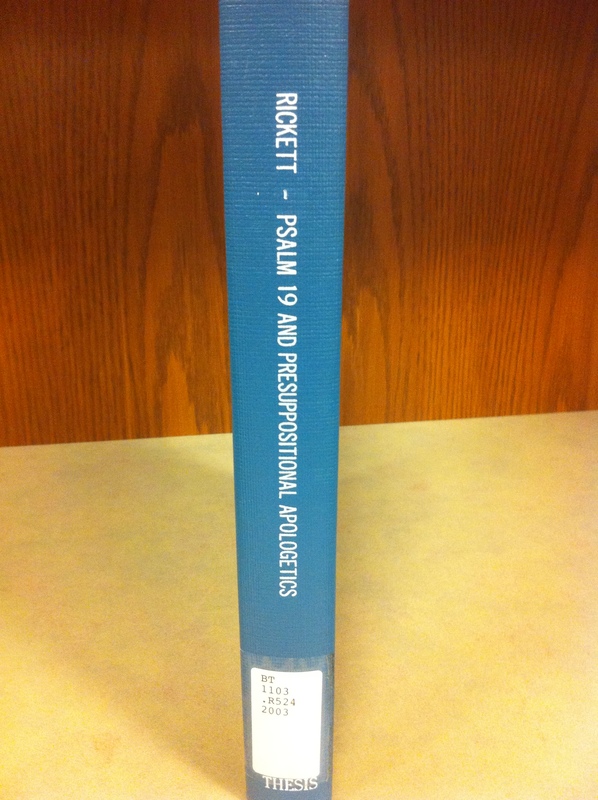 As readers might have remembered from this current series on Dispensational Presuppositionalists, George Zemek has recommended this book in his interview. You can access the website for this book by clicking HERE. The author, Dr. Cliff McManis is a graduate of The Master’s Seminary. 4.) 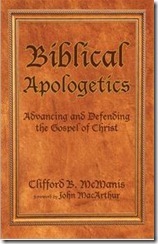 A Review of Clifford McManis’ Biblical Apologetics (2012) NEW! 5.) Ben Holloway’s Review NEW! 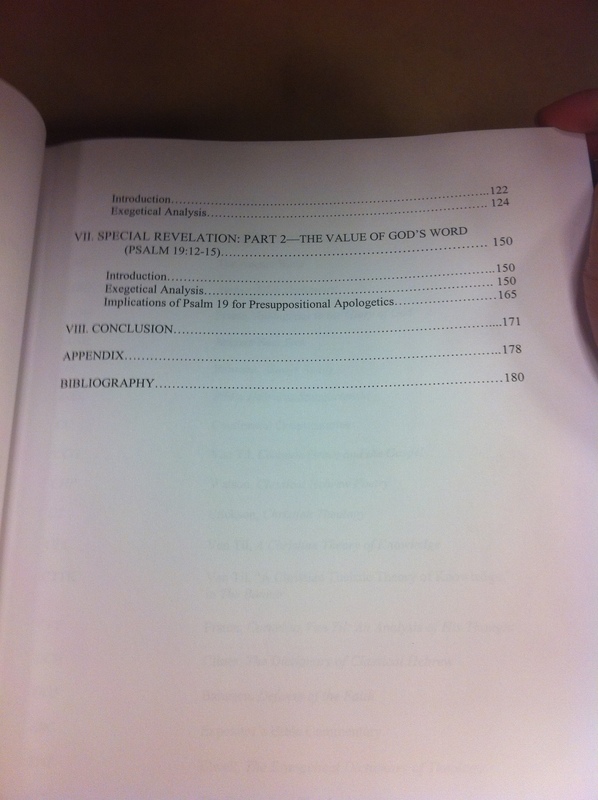 Here are articles related to Presuppositional apologetics published by Grace Theological Seminary from their now defunct journal. They are in PDF format. These are gems from a generally Dispensational publication. 1.) James M. Grier, “The apologetical value of the self-witness of scripture,” Grace Theological Journal 1.1 (Spring 1980): 71-76. 2.) Donald B. DeYoung, & John C. Whitcomb, “The origin of the universe,” Grace Theological Journal 1.2 (Fall 1980): 149-161. 3.) David L. Turner, “Cornelius Van Til and Romans 1:18-21: a study in the epistemology of presuppositional apologetics,” Grace Theological Journal 2.1 (Spring 1981): 45-58. 4.) George J. Zemek, Jr., “Classical Apologetics: A Rational Defense – A Review Article,” Grace Theological Journal 7.1 (Spring 1986): 111-123. 5.) Stephen R. Spencer, “Fideism and Presuppositionalism,” Grace Theological Journal 8.1 (Spring 1987): 89-99. 6.) Stephen R. Spencer, “Is natural theology biblical,” Grace Theological Journal 9.1 (Spring 1988): 59-72. 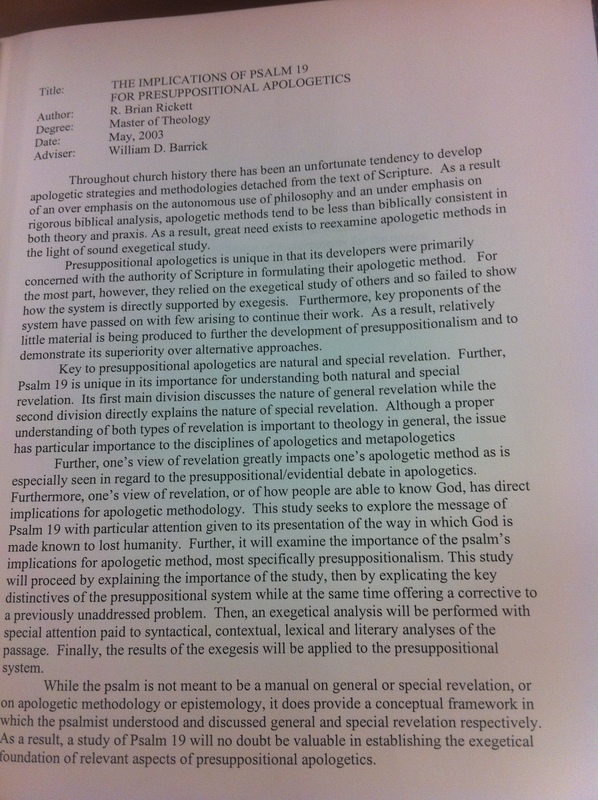 For our marathon series on Presuppositional apologetics from the Dispensationalists camp, we have highlighted some important thesis defending Presuppostional apologetics methodology exegetically that are out there so that the larger community of Christian apologists might be aware of them. We have also interviewed those who are involved in various Dispensational seminaries or educational institute. 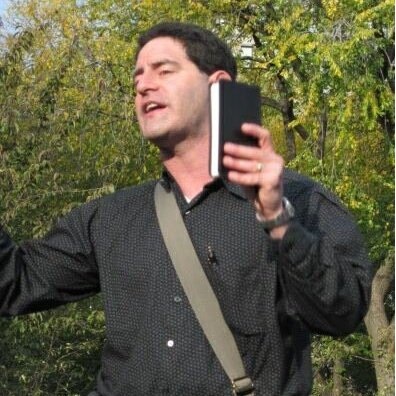 This morning’s interview focus on Andrew Rappaport of Striving for Eternity ministries, who have taken Presuppositional apologetics to the streets (sometimes literally) by taking it out there and applying it during evangelism. His website can be viewed by clicking HERE. 1.) Describe your current ministry to the Lord. The current ministry of the Lord’s in my life is to be public speaking at churches for conferences and Sunday pulpits, also writing two books, one on the Deity of Christ and the other on evangelism. 2.) How did you first became acquainted with Presuppositional apologetics? Who was your big influence? Seminary was where I first heard and was taught about presuppositional apologetics from my professors. It is this simple, there are two presuppositions: there is a God and He has spoken. 3.) What would you consider is the strength of Presuppositionalism? It starts and ends with the only explanation for reason itself. If some rejects the Scripture and attempts to use the world to argue for God they have rejected the only source of truth. The presupposition apologetic defends God from His Word not the world. 4.) Describe an experience you have in employing Presuppositional apologetics. Once at Newport Beach, CA I had two young men that told me that they do not believe in anything that they cannot prove by science. I asked the young man where he got his ability to reason. He told me that he studies. I than explained that I wanted to know where the ability came from for humans to be able to reason, not how they use that ability. He stop talking and said, “I do not know”. I stated that I do know that and that the ability to reason comes from God. He friend said, “you are powned”. Which in the vernacular means that he lost the debate, “He is owned”. This fact shut the one young man’s mouth and I was than able to explain that the reason God gave us an ability to reason is so that we can know Him and know our need to get right with Him. 5.) Some see Presuppositional apologetics as being the apologetics method of Covenantal theology only, give it’s root. Do you think Presuppositional apologetics is compatible with Calvinistic Dispensationalism, and if so, explain. No. It is a Biblical method that a normal interpretation of Romans 1 provides thus neither dispensationalism nor covenantalism can lay claim alone to it. 6.) You have taken apologetics to the streets so to speak in the area of open air preaching and actual application in evangelism. Any pointers to the readers? Every week. The thing is to not get into long arguments. They know God exists. State it and move to the gospel. Remember that the purpose of apologetics is the shut the mouth of the ignore not to win a debate. We use the apologetic to shut their mouth to get to the gospel. 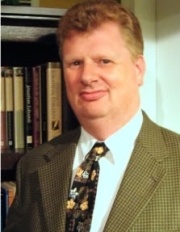 Today’s interview with a Calvinistic Dispensational Presuppositionalist is with Dr. Paul Henebury, whom some might know him on the internet as Dr. Reluctant, who blogs here, and runs the Veritas School of Theology (not any way affliated with our blog, in case you are wondering about the name). He took some time to answer some of our questions, in which we are grateful for! I also preach and give presentations on many theological and apologetic topics. Answering the first part of the question first, my biggest influenece was undoubtedly Cornelius Van Til. I first encountered him back in the mid-90’s when a fellow student at London Theological Seminary asked me what “chokmatic” meant (it is derived from “chokmah”- Hebrew for “wisdom”). The first book I read by or about Van Til was John Frame’s Cornelius Van Til: An Analysis of His Thought. 3.) Describe how you introduced Presuppositionalism to others. Do you think it is difficult to introduce Presuppositionalism to others?I believe the approach is intuitive for Christians in as much as they want to stand on the Word of God, not question it. However, just as in the hermeneutical realm, so in the apologetic realm, reason can take over and begin dictating what can and cannot be so. The primary difficulty is getting people to listen to the Bible’s depiction of the world and the servant nature of human reason. Quite simply, certain forms of reasoning are out of bounds for the Christian. Which forms? Any employment of our reason which seeks independence from God: which starts from ourselves and not the Lord. 4.) How did the Seminary you teach at first reacted to the introduction of Presuppositionalism?I actually introduced Van Tilian Presuppositionalism to the Seminary I used to teach at and they were very responsive. After talking it over with the President of the Seminary, he agreed that I could put on a four-day 30 hour Intensive and see who would sign up for it. It was the most successful Intensive than any previous one!After I left I listened to a presentation from the chap who took over from me and his material was definitely more Clarkian (working from the Bible as an hypothesis). 5.) Some see Presuppositional apologetics as being the apologetics method of Covenantal theology only, give it’s root. Do you think Presuppositional apologetics is compatible with Calvinistic Dispensationalism, and if so, explain.Van Til himself, of course, believed his apologetics was “Reformed.” I agree here with Frame that this isn’t really the case. E.g., Van Til’s view of Arminianism wasn’t always accurate, so he tended to ascribe properties to the “Arminian God” which Arminius himself would not have recognized. I see nothing at all in this apologetic that is inimicable with other theological systems with a strong view of God’s Sovereignty and the inspiration of Scripture; Dispensationalism included. 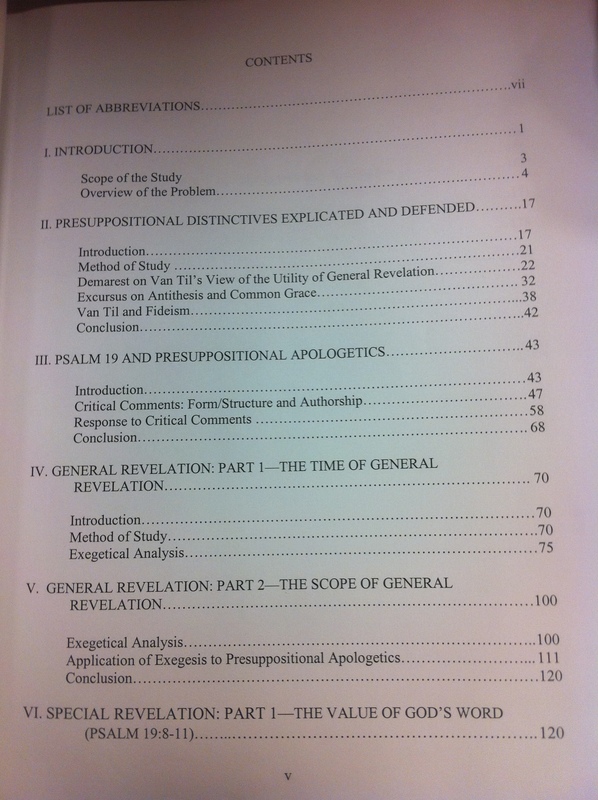 In fact, the exegetical basis for presuppositional apologetics fits hand-in-glove with Dispensationalim. All Dispensationalists ought to be presuppositional, but (as I have said many times), Dispensationalists tend to be quite myopic when it comes to areas beyond ecclesiology and eschatology. That is why they have followed in the way of Natural Theology rather than led the way in Revelational Epistemology.Van Til spoke often of unsaved man as a “covenant-breaker,” having in mind the Reformed covenant of works. But man in revolt (to use Emil Brunner’s term) does the job better I think, as it depicts mankind as independent in his thinking as well as his acting. 6.) What are some links to materials you have written on presuppositionalism? I have written some articles, book reviews, and done some blog posts. You can find some grouped together here and here. Included there is a debate I did with an atheist. I generally do not debate people unless they seem sincere. The Bible depicts apologetics more as an answer than an assault on other positions. I feel we must always have “a reason for our hope” but we should not be set on hunting for opponents. 7.) For those who wish to make a contribution towards advancing Presuppositionalism, what would you like to see a thesis written on? Well, the hermeneutical basis for presuppositionalism and the biblical worldview for one. Another would be the relationship between presuppositionalism and corroborative evidence. Having mentioned Brunner, a third would be an exploration of his “Erastics” and its use within presuppositionalism. As part of our marathon focusing on Dispensational Presuppositionalists and since tonight it’s the Lord’s Day I thought it’s appropriate to share two messages that has a bit to do with Presuppositional apologetics as it is taught in Grace Life, a preaching ministry at Grace Community Church.